One of the most surprising developments in Irish theatre this year has been how so many of our major companies have staged plays by Shakespeare. 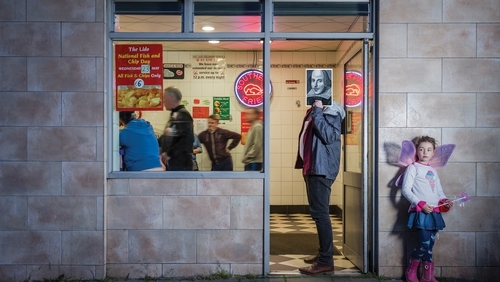 This represents a remarkable turnaround: for most of the last hundred years, Irish theatre-makers’ attitudes to England’s greatest dramatist have ranged from ambivalence to insecurity. It has even involved hostility, as shown at the Abbey when Ernest Blythe refused to stage Shakespeare’s plays on the grounds of his "foreignness", leading to a de facto ban that lasted from the 1930s to the 1970s. But Shakespeare seems to be everywhere this year. We’ve seen Rough Magic’s outdoor Midsummer Night’s Dream at the Kilkenny Arts Festival and Druid’s Richard III at the Abbey, while Ruth Negga’s appearance in Hamlet at the Gate caused that show to sell out before it even opened. So how did this change come about? And does it mean that the Irish theatre has finally made peace with Shakespeare? "Much has been made of Ruth Negga’s performance in Hamlet at the Gate, but she was following a tradition in taking on that role that began at Smock Alley in 1741, when Fanny Furnival became the first woman ever to play Hamlet"
What’s now mostly forgotten is that Shakespeare dominated the Irish theatre for hundreds of years. In a recent Irish Research Council project, Deirdre McFeely identified thousands of performances of Shakespeare in Dublin, the earliest of which was Othello at Smock Alley in 1662. Those records show that Irish attitudes to Shakespeare have been remarkably consistent. The three most produced plays over the centuries have been Hamlet (in first place), followed by Macbeth and Richard III. They’ve also been frequent, peaking in the 1850s when there were more than 600 individual productions of his plays in Dublin alone. There has been a tendency to be dismissive of that tradition and to see it as mirroring (or aping) what was happening in London. But while there are parallels between the two cities, Dublin was also a place where people tried out new things. Much has been made of Ruth Negga’s performance in Hamlet at the Gate, but she was following a tradition in taking on that role that began at Smock Alley in 1741, when Fanny Furnival became the first woman ever to play Hamlet. While Ireland has played host to many of England’s great Shakespearean actors, it also produced several major figures, from Charles Macklin in the 18th century to Kenneth Branagh and Fiona Shaw in our own times. For hundreds of years, Irish people from all walks of life were happy to watch, produce and act in Shakespeare’s plays – without any sense that doing so might be politically contentious. If we want to find a turning-point in Irish attitudes, a good place to start might be April 23rd 1916, Easter Sunday. That was the 300th anniversary of Shakespeare’s death and celebratory events had been planned for the following day in both Ireland and Britain. But, of course, they never happened in Ireland. The Easter Rising broke out on the Monday and the celebrations were cancelled. Afterwards, the deterioration in the relationship between Ireland and England was paralleled in a marked change in Irish approaches to Shakespeare. Yes, his plays continued to be inflicted upon generations of schoolchildren, and there were occasional Irish productions, such as a celebrated Irish-language Macbeth at the Taibhdhearc or Hilton Edwards and Micheal MacLiammoir’s 1932 Hamlet at the Gate (the latter of which starred a young Orson Welles). Anew McMaster toured Shakespeare’s plays around Ireland with his fit-up company for decades, and he was also popular with amateur companies, notably the Dublin Shakespeare Society (which had changed its name from the British Empire Shakespeare Society after Irish independence). However, there was an apparent conviction within the professional theatre world that Shakespeare didn’t fully belong on the Irish stage. It was a belief that might have been expressed in order to mask a deep (and largely unfounded) insecurity about Irish actors’ ability to perform his plays. But if post-independence Ireland was becoming ambivalent about Shakespeare, that was partly because of a growing awareness that Shakespeare had been ambivalent about Ireland. Most of his characters’ references to the country appear to be hostile, as when Richard II dismissively refers to Irish soldiers as "rug-headed" vermin or when Rosalind criticises her lover in As You Like It by comparing him to an Irish wolf. And then there’s the fact that the only Irish character in all of Shakespeare – Captain Macmorris in Henry V – is usually played as a belligerent drunkard. It’s often been asserted that in creating that character Shakespeare invented the Stage Irishman. Although that belief is actually wrong, Macmorris’s famous question "what ish my nation?" has inspired powerful rebuttals from such Irish writers as James Joyce and Seamus Heaney. Of course, we shouldn’t assume that a playwright believes something just because his or her characters say it on stage, but it’s understandable if Irish audiences were uncomfortable when confronted with such negativity. The beginnings of a re-engagement with Shakespeare were evident from the 1970s, when young directors such as Joe Dowling and Patrick Mason working with young actors like Colm Meaney and Liam Neeson put on small-scale productions of his comedies at the Peacock. Since then, we’ve seen several important attempts to reconcile Shakespeare and the Irish dramatic tradition. Shortly after the conclusion of his celebrated RTE Radio series Scrap Saturday, Gerry Stembridge staged a country and western version of The Comedy of Errors at the Abbey in 1993 – making Shakespeare suddenly seem very contemporary. Also hugely important were Lynne Parker’s productions of The Taming of the Shrew (2006) and Macbeth (2012), both of which allowed the actors to deliver the lines in their own Irish accents, thereby demonstrating that there is no single "right" way to speak Shakespeare’s words. More recently, Garry Hynes’s DruidShakespeare in 2015 was an astonishing collision between English history and Irish performance practices, giving us two English kings who not only spoke in Irish accents but were performed by two Irish women (Aisling O’Sullivan and Derbhle Crotty). These and other productions have mapped out new ways for Shakespeare to be performed in this country. DruidShakespeare: "an astonishing collision between English history and Irish performance practices"
It’s surely no coincidence that this tradition seems to match the development of Anglo-Irish relations over the last half-century. Our revival of interest in Shakespeare coincided with the outbreak of the Troubles,and Irish companies have only begun to fully embrace his work since the signing of the Good Friday Agreement. So, without being reductive, might it be reasonable to suggest that, just as English theatres are currently reviving Irish plays as a way of thinking about Brexit, the Irish theatre might be using Shakespeare to explore what the future relationships between these two islands might look like? It’s understandable that Billington might reach such a conclusion. In England, Richard’s defeat is usually presented as something to celebrate: the Tudors have come to power, years of civil war are at an end and a more stable future awaits. But in Ireland, it’s impossible to finish the play in that way as the ascendancy of Henry VII eventually gave rise to the reformation and a new wave of plantations here, which means that it would have been perverse if Druid had not ended the play on a negative note. In Billington’s criticism, we find evidence of how people in these islands (even when trying to find common ground) sometimes see the same things differently, often without being fully aware that they are doing so. But perhaps the most exciting thing about these three Shakespeare productions is that they wear their politics so lightly. At the Gate, Hamlet is performed in an unambiguously Irish context. For example, when Claudius prays, he does not speak directly to God, as would have been the case in the newly protestant England of Shakespeare’s time, but confesses his sins to a priest, as would have been the norm in Catholic Ireland. And with its young cast and improvisational tone, Rough Magic’s Midsummer Night’s Dream felt like the next generation of Irish theatre-makers were boldly claiming Shakespeare as their own. It might be tempting to suggest that these productions are in some ways revolutionary. But perhaps it’s better to argue that, on the contrary, what we’re really seeing is that our theatre companies’ ability and entitlement to perform Shakespeare is now taken for granted. The question is no longer "why should we stage Shakespeare?" or "are we able to stage Shakespeare?" but "why wouldn’t we stage Shakespeare?". Now that we’ve reached that point, we can rediscover an exciting history of Irish approaches to Shakespeare, one that has been forgotten if not suppressed. Given how well received these new Irish Shakespeare have been, we also have much to look forward to theatrically.